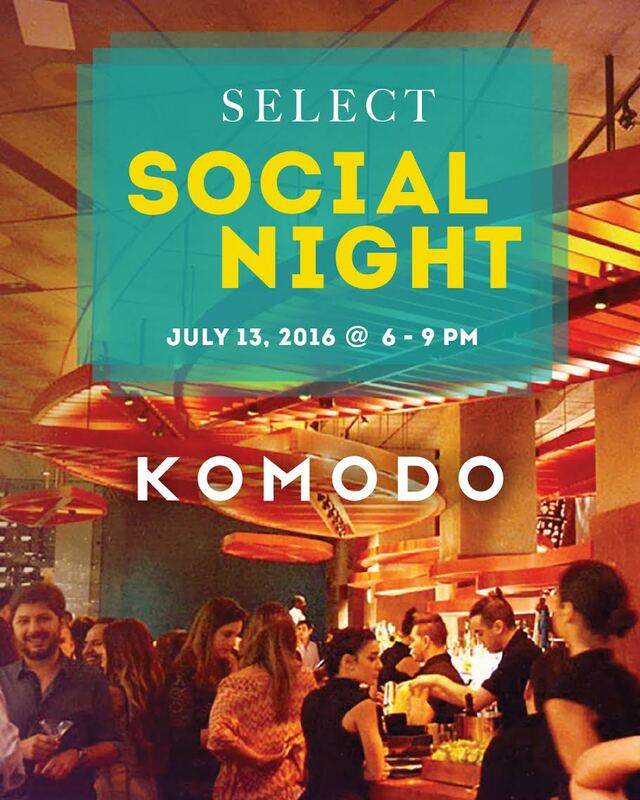 On Wednesday, July 13th, join us as we gather for the second SELECT Social Night -- a series of cocktail and networking events designed for members to mix and mingle. 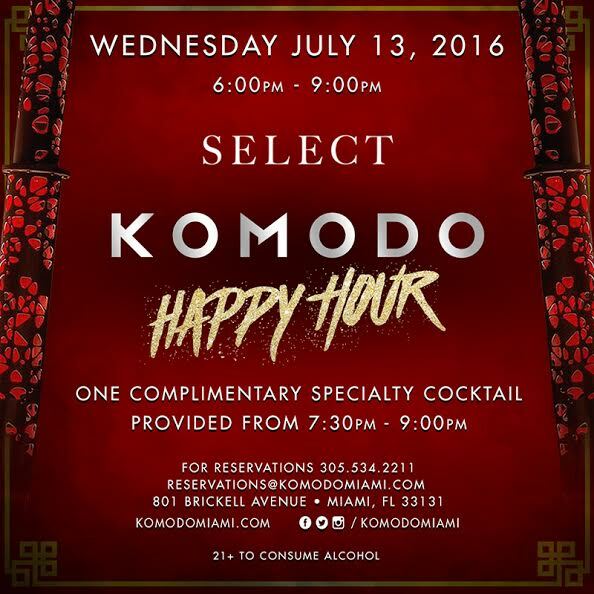 This installment will be a cocktail reception at Komodo as part of a 2-hour open bar featuring one of Komodo's specialty cocktails–the Cucumber Basil Martini–from 6 to 8pm. SELECT Members and a guest can enjoy complimentary access and with additional guest tickets available for $20 each. Members are also invited to stay and dine with us in a special section reserved for SELECT members.